Is that person a lawyer? Probably not (especially if the word “advocate” is in the company title). Will I get to see a lawyer? Sure you will — a few minutes before the hearing. Can I at least talk to a lawyer? Probably not. These firms have more important things to do than talk with a client — or at least think they do. How do I hire these firms? Through the mail, most likely. You sign the contract and send it back. No handshake, no eye contact. 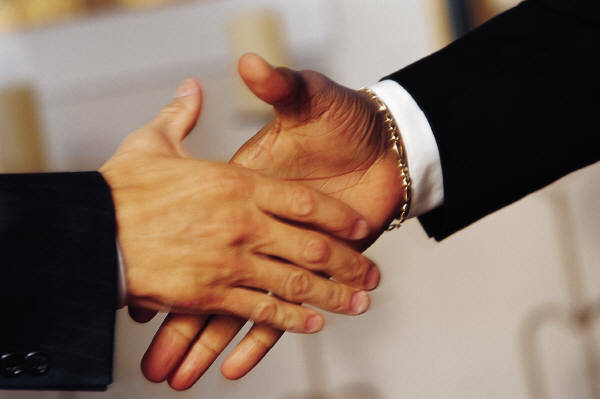 At our law firm, you see an attorney at your first visit. This may be considered “hand holding” by firms who rely almost entirely on the Web for their clientele. And that’s just fine with us. We are here — to hold your hand if necessary. That is part of our job. In fact, you will probably see an attorney multiple times with our firm. We are a local business. You can come right into our office. Many national Internet companies farm cases out to local attorneys shortly before the hearing. That means you won’t meet the person representing you until the day of the hearing. And remember, these companies’ “representatives” are not necessarily attorneys. Many of these firms lead you on, then drop you before the hearing, leaving you to fend for yourself. Plenty of our clients came to us because they ended up in that very situation. We very seldom withdraw on cases before the hearing unless the client has failed to cooperate or their chances are VERY weak. We aren’t in the numbers game — getting as many clients calling as possible, then taking only the very strongest cases. This is known as “cherry picking.” We are NOT cherry pickers. We interview you and tell you at the outset whether or not you have a winnable case, rather than having someone with no disability background give you the brushoff on the phone. Disability is serious business. It may take a long time to obtain results. Do you really want to take your chances with an unknown individual who may be many miles away? Many firms boast in their ads that they are national outfits. We boast that we are a local outfit. It may sound convenient to never have to go into an office when filing your disability appeal, but we hear many people who lost their cases complain that they never got a chance to speak with their representative or spoke to them right before the hearing. We try to prepare our clients well before their hearings. It takes more time, doesn’t get us any more money, but we think it’s worth it — for our clients and their cases. Still considering hiring a national firm? Think about it. Then let’s talk. Kidney Disease and Disability Think You Can’t Afford an Attorney? Think Again!